Foot numbness while exercising or walking isn't usually a cause for alarm. More often than not, a simple change in footwear or technique can correct this problem. This isn't to say you shouldn't talk to a doctor, since proper diagnosis is essential to treatment. But evaluating everything surrounding the activity can go a long way to correcting many problems associated with numbness. Improper footwear could be the cause of your numbness. Ensure the shoes you're wearing are made for your activity. Not wearing the right shoes for the activity could lead to undue stress anywhere along the foot, compressing a nerve and resulting in numbness. Also, determine the mileage of your shoes. Shoes worn for too many miles often lack the support needed to evenly distribute your weight across your feet. Like improper footwear, this could lead to trauma and subsequent compression of a nerve. To avoid this, regularly replace your athletic shoes. Ill-fitting shoes can lead to numbness as well. Note not only the arch support of your footwear, but also the toe box. If the box is too tight, it could compress a nerve and lead to numbness or tingling. As with any athletic pursuit, improper form while walking, especially long distances, can lead to repetitive stress anywhere from the ball of your foot to your heel. Next time you're out walking or exercising, pay close attention to how your foot hits the ground. If your stride doesn't move your foot from heel to toe, your body weight could be distributed improperly, resulting in trauma. Even minor trauma can lead to inflammation within a muscle, ligament or other tissue that places pressure on a nerve and causes numbness. The mechanics of your feet can also contribute to numbness. Improper pronation, or movement of the foot, can lead to problems, particularly when the foot rolls inward or outward excessively. This distributes your weight incorrectly along the bottom of your foot and could cause an injury. Orthotics can often help to correct pronation issues, so talk to your doctor to determine what type of insert is best suited to your needs. The numbness may have something to do with an unknown condition, such as Morton's neuroma or metatarsalgia. Morton's neuroma is marked by a thickening of tissue around a nerve within the foot, usually one leading to your toes. It can develop as a result of pressure or irritation. 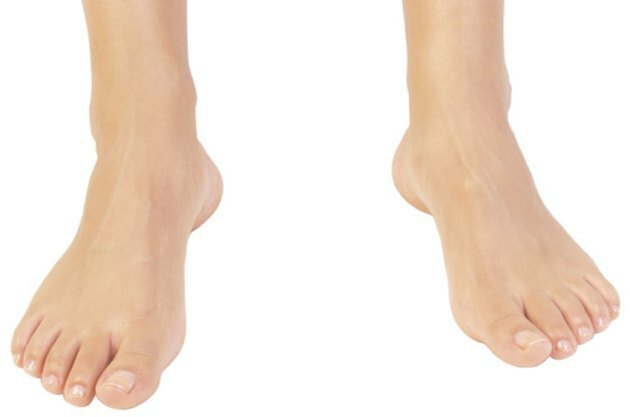 Metatarsalgia, on the other hand, often develops as a result of foot mechanics that place undue pressure on one of the five metatarsal bones that run from the arch of your foot to your toe joints, notes MayoClinic.com. What Does it Mean When Your Toes Go Numb While Working Out?